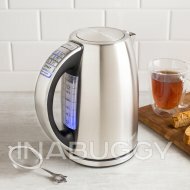 A soft grip handle, and a soft opening lid combine so making a cup of tea is almost as tranquil as drinking one. 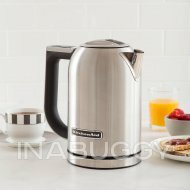 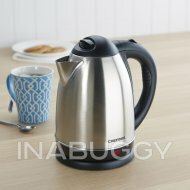 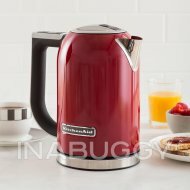 The push button, soft opening lid prevents hot water splattering, and staggers steam release. 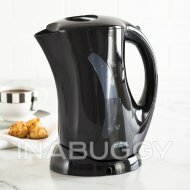 1.7 litre cord free jug, high visibility BPA free water windows, concealed element, and a removable scale filter. 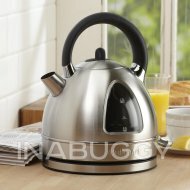 With the touch of a button, the soft open lid prevents hot water splashback and staggers steam release. 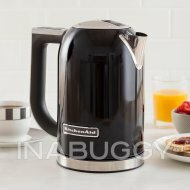 Uses BPA Free materials for piece of mind. 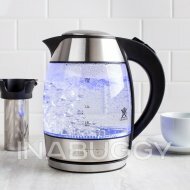 Senses pressure and turns off once water is boiled or when no water in the jug.